SEGUIN, Texas – If you pay your City of Seguin utility bills online or plan to pay them online in the future, make sure you are using the city’s official online bill payment site. 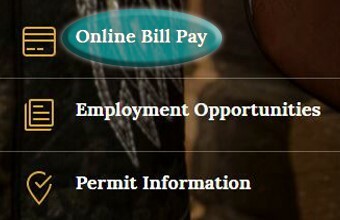 To pay your utility bills online visit the city’s homepage: www.seguintexas.gov and click the ‘Pay Bills Online’ button (see photo below). You can also go to the site directly: https://www.municipalonlinepayments.com/seguintx. ***If you use another website not affiliated with the city, your payment may not make it to the city on time or at all.